Laird Barron was born in Alaska, where he raised and trained huskies for many years. He moved to the Pacific Northwest in the mid 90s and began to concentrate on writing poetry and fiction. His award-nominated work has appeared in Sci Fiction, the Magazine of Fantasy & Science Fiction and has been reprinted in The Year’s Best Fantasy & Horror, Year’s Best Fantasy 6 and Best New Fantasy: 2005. Mr. Barron currently resides in Olympia, Washington and is hard at work on many projects, including a novel. Learn more at LairdBarron’s website. 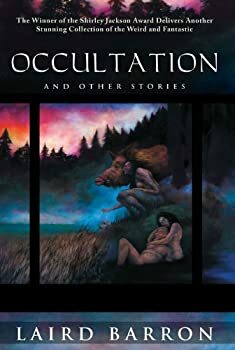 According to Webster’s, “occultation” means “the state of being hidden from view or lost to notice” or “the shutting off of the light of one celestial body by the intervention of another; esp: an eclipse of a star or planet by the moon.” Both definitions seem appropriate to Laird Barron’s collection, Occultation and Other Stories, the latter as metaphor, because Barron can scare you as much with what remains hidden in his stories as with what he drags from the shadows and exposes to your horrified view. 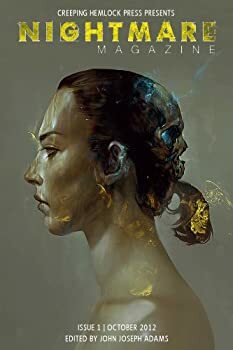 This second collection by this relatively new horror writer builds on the promise of The Imago Sequence and Other Stories, and makes it clear why no “year’s best” gets issued these days without at least one piece by Barron in it. The magazine isn't horrible; it's in the horror genre. Perhaps reading about a great magazine -- and then reading the magazine itself -- will make your Monday more bearable! 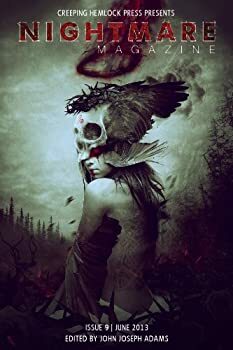 John Joseph Adams, editor of the well-regarded science fiction and fantasy e-journal, Lightspeed, as well as numerous excellent anthologies, has launched a new horror e-zine, Nightmare. It will feature two reprint stories along with two original stories each month, along with in-depth interviews, short interviews with each author whose story is featured in the issue, and non-fiction discussions about writing and reading horror. The first issue of Primeval: A Journal of the Uncanny, wasn’t what I expected. I thought I was getting a magazine featuring horror stories and essays about horror. Primeval’s self-description on its website didn’t lead me to expect anything different, poetically explaining that it is a publication that examines “the convergence of contemporary anxiety and ancient impulse.” Sounds very Lovecraftian, doesn’t it? 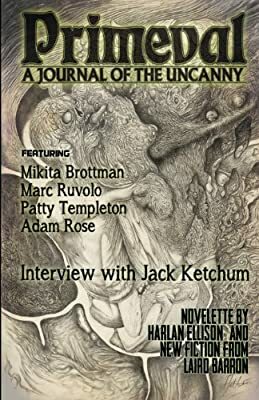 The website also promises that each issue will feature “fiction and essays exploring horror, the macabre, and that which should not be — yet is.” And yet, as much as I enjoy fiction that falls into that vast category known as “the Weird,” I found that Primeval offered more incomprehensibility than horror, work that was more odd than Weird. Anything Ellen Datlow edits automatically finds a place on my list of books to read. For many years, this included the excellent anthology series The Year’s Best Fantasy and Horror, which Datlow coedited with Terri Windling. When that series disappeared, much to the dismay of fans of short fiction everywhere, Datlow undertook to publish The Year’s Best Horror, which has been published by the terrific smaller press, Night Shade Books, for the past four years. This year’s volume, the fourth, is chock full of memorable stories certain to keep you up at night. Usually, I shy away from reviewing books whose name I can’t pronounce. Since this title is in the language of the Elder Gods, though, it’s probably better that I can’t pronounce it. Aklo, H.P. Lovecraft’s mystical language, was never meant for human voices to speak anyway, as editor Ross Lockhart explains in his introduction. Lockhart also informs us that the meaning of “Fhtagn” was given to him in a dream (presumably by the Old Ones) and it means “house.” Anyway, Cthuhlu Fhtagn! 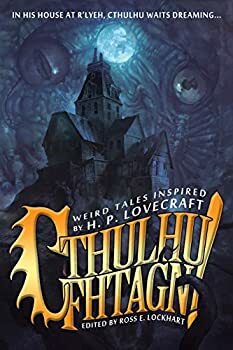 is the third Cthulhu-themed anthology Word Horde has done, and Lockhart is now getting mystical information while he sleeps… I’d keep an eye on him, if I were you. 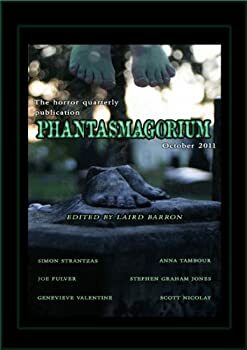 This anthology comes after a similarly titled anthology, also edited by Ellen Datlow, called Darkness: Two Decades of Modern Horror which came out in March 2010. Datlow also edits an annual anthology of horror fiction (collaborating with other editors on those). 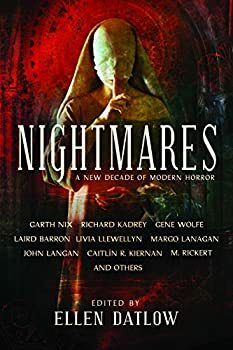 It seems then that Nightmares: A New Decade of Modern Horror (which came out in October 2016) is informed by a great deal of knowledge in the field of speculative horror literature. 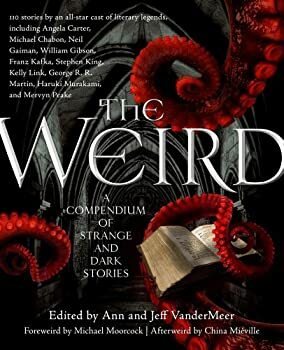 I am not generally a horror reader, but I still thoroughly enjoyed many tales in this anthology for their engaging storytelling and terrifying themes. What follows is a brief review of each of the 25 tales, in the order which they appear. The Imago Sequence and Other Stories — (2007) To the long tradition of eldritch horror pioneered and refined by writers such as H.P. Lovecraft, Peter Straub, and Thomas Ligotti, comes Laird Barron, an author whose literary voice invokes the grotesque, the devilish, and the perverse with rare intensity and astonishing craftsmanship. Collected here for the first time are nine terrifying tales of cosmic horror, including the World Fantasy Award-nominated novella “The Imago Sequence,” the International Horror Guild Award-nominated “Proboscis,” and the never-before published “Procession of the Black Sloth.” Together, these stories, each a masterstroke of craft and imaginative irony, form a shocking cycle of distorted evolution, encroaching chaos, and ravenous insectoid hive-minds hidden just beneath the seemingly benign surface of the Earth. The Croning — (2012) Strange things exist on the periphery of our existence, haunting us from the darkness looming beyond our firelight. Black magic, weird cults and worse things loom in the shadows. The Children of Old Leech have been with us from time immemorial. And they love us. Donald Miller, geologist and academic, has walked along the edge of a chasm for most of his nearly eighty years, leading a charmed life between endearing absent-mindedness and sanity-shattering realization. Now, all things must converge. Donald will discover the dark secrets along the edges, unearthing savage truths about his wife Michelle, their adult twins, and all he knows and trusts. For Donald is about to stumble on the secret… of The Croning. From Laird Barron, Shirley Jackson Award-winning author of The Imago Sequence and Occultation, comes The Croning, a debut novel of cosmic horror. 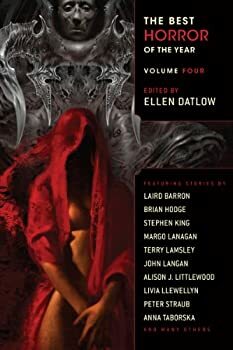 The Beautiful Thing That Awaits Us All — (2013) Publisher: Over the course of two award-winning collections and a critically acclaimed novel, The Croning, Laird Barron has arisen as one of the strongest and most original literary voices in modern horror and the dark fantastic. 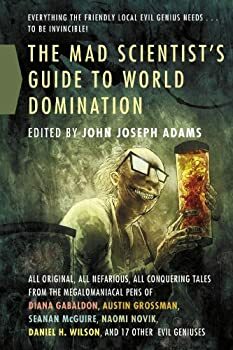 Melding supernatural horror with hardboiled noir, espionage, and a scientific backbone, Barron’s stories have garnered critical acclaim and have been reprinted in numerous year’s best anthologies and nominated for multiple awards, including the Crawford, International Horror Guild, Shirley Jackson, Theodore Sturgeon, and World Fantasy awards. Barron returns with his third collection, The Beautiful Thing That Awaits Us All. 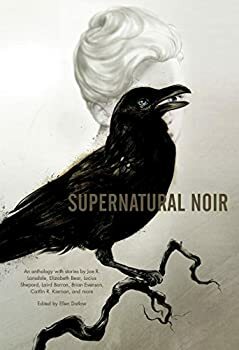 Collecting interlinking tales of sublime cosmic horror, including “Blackwood’s Baby,” “The Carrion Gods in Their Heaven,” and “The Men from Porlock,” The Beautiful Thing That Awaits Us All delivers enough spine-chilling horror to satisfy even the most jaded reader. CLICK HERE FOR A COUPLE MORE TITLES BY LAIRD BARRON.